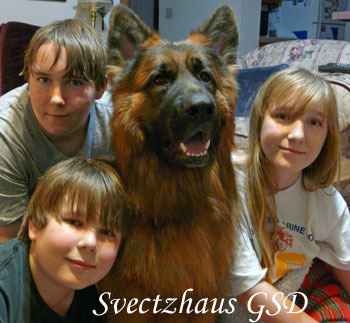 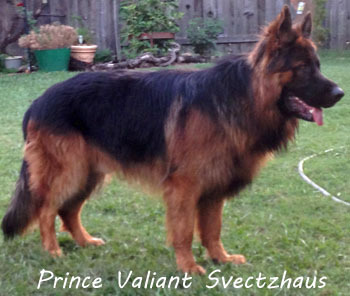 Prince Valiant Svectzhaus is born and raised here by us. 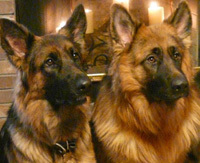 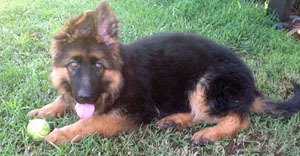 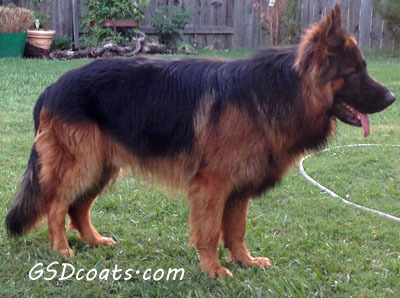 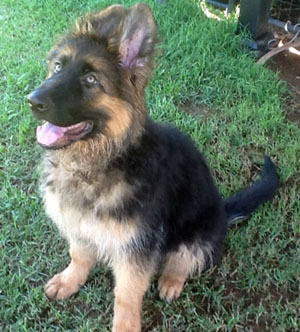 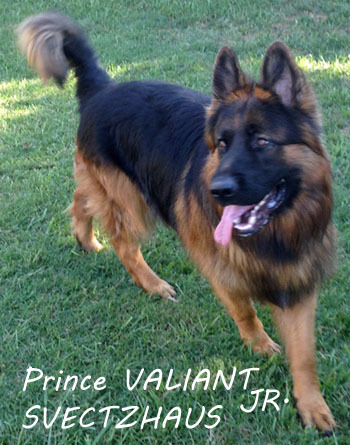 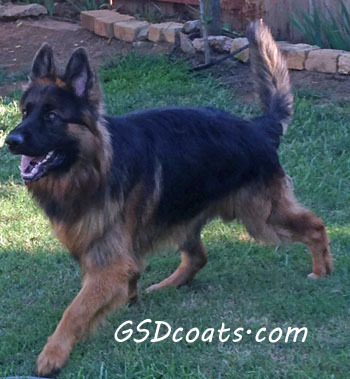 Prince is a loving affectionate long Coated German Shepherd in the traditional black and red with a black saddle. 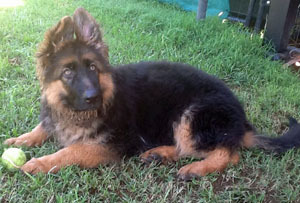 He has a straight back and is a traditional form.